and shows. 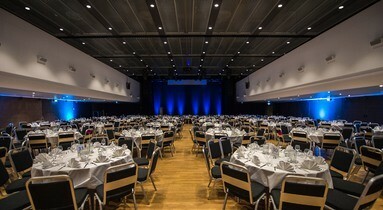 From immense events outside in Edvard Griegs Plass, which can hold up to 5000 people, to intimate indoor concerts and performances – Grieghallen accommodates culture in all it`s many forms. 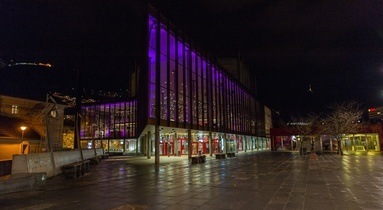 The Grieg Concert Hall is the biggest concert hall in Bergen. 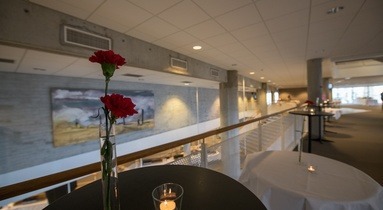 It accommodates up to 2,200 people and provides the potential for staging all types of major cultural events right in the city centre.The hall is known for its fantastic acoustics and is the home to the Bergen Philharmonic Orchestra and the Bergen National Opera, among others. The stage’s flexible solutions facilitate the execution of all types of cultural performances, and it is frequently used for ballet and other kinds of dance performances, stand-up shows, musicals and sometimes even circuses. During a visit by the John Curry Ice Skating Company, the stage was frozen over for ice dance accompanied by a symphony orchestra in the orchestra pit. Here, there is just no limit to creativity! For a more intimate concert experience, the Peer Gynt Hall can be utilised, which accommodates audiences of up to 700. Renovated and equipped with the most up-to-date technology in 2016, the Peer Gynt Hall is a perfect choice for concerts and performances of a medium size or smaller. 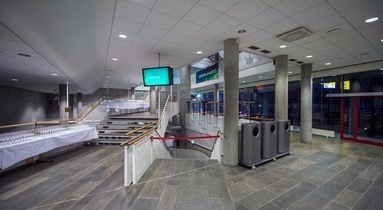 Our unique foyers function as large mingling areas and are ideal for serving refreshments before and during a concert or show. In addition, the concert experience can be combined with an intimate banquet or dinner in one of our two VIP rooms, Salong Edvard and Salong Nina. 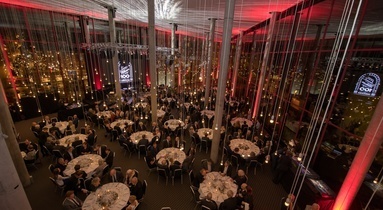 Grieghallen is a distinguished concert hall known for its superb acoustics and unique venues. Grieghallen’s adaptability means that all types of culture feel at home here, from ballet, opera, symphonic music, piano recitals and choirs to pop and rock, jazz and marching bands. Every year, Grieghallen is used for a number of concerts during Festspillene i Bergen (the Bergen International Festival), and big artists such as Neil Young, Oscar Peterson, Melody Gardot, Chuck Berry, Miles Davis and our own Leif Ove Andsnes have also guested on our stage here. We host many renowned and cherished artists on a regular basis. Kurt Nilson, Putti Plutti Pott, Sissel Kyrkjebø and the MGPjr Christmas tour put us in the festive spirit every year before Christmas. Swan Lake and Lindesnes Trekkspillklubb (accordion club) are other much-loved traditions that have established themselves in Grieghallen. Exciting Norwegian artists such as Eva Weel Skram and Maria Mena have also played at Grieghallen. 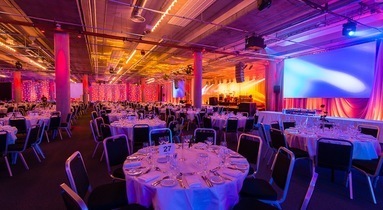 When Grieghallen is the host, you are assured professional project management, service at all stages and the very latest developments within technical solutions. You receive a contact person for the whole process who follows the project from planning to execution and completion. The project manager helps with all the practical aspects that must be in place. We have Norway’s leading experts in audiovisual and lighting technology on the team. First-class equipment and technicians in the planning phase and the opportunity for support during the event means that everything is set for a perfectly executed event. 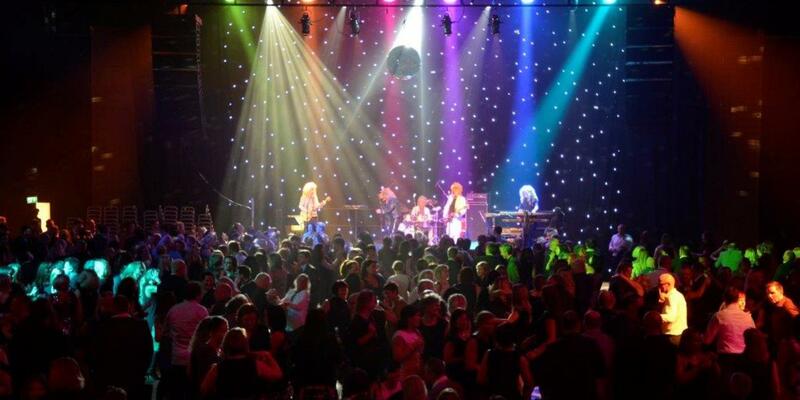 We will help you with everything you need for your event!